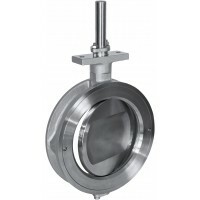 SOMAS butterfly valve has a wide range of applications due to its design and material. As standard with metal to metal sealing and triple eccentric design in combination with the homogeneous seat, it can handle both media containing solids and media with very high temperature. 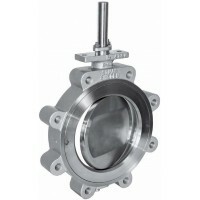 A major advantage of SOMAS butterfly valve is that it is virtually maintenance free. This is possible due to the unique design of the important components of the valve. Many industries have a desire to run for long periods between regular services and then it is important that the components meet this requirement. As examples of process conditions we have steam applications with temperatures around 600° C, applications of diesel exhaust, pulp suspensions containing a high degree of fibre or various kinds of cooking liquors. 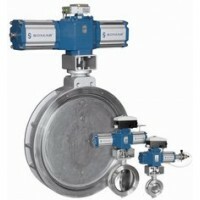 This wide range makes great demands on the valve design, as well as on the materials. We handle this with the same basic design -- triple eccentricity and a seat of solid stainless steel. We have with this design also a choice to use alternative stainless steel grades. 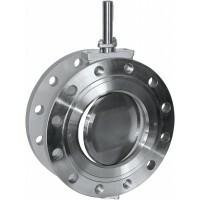 Butterfly valveSOMAS butterfly valves are used in hundreds of thousands of installations in a variety of applications. Based on the experience gained from our many years of design and manufacture of metal seated butterfly valves we do not hesitate at this point to claim that our concept is the best on the market. We do not intend to rest on our laurels, however. Our concept is, and will be, the basis for future development of metal seated butterfly valves. Our R&D department is continuously at work further improving the quality and performance of our product line, in close cooperation with our customers who provide the feedback and application expertise needed to aim our research efforts in the right direction. They make quite a team, our customers and our engineers. We are proud of them. Запорная заслонка Somas MTV (межфланцевая)ON/OFF, и/или регулирующий клапанДисковые поворотные загл..
Запорная заслонка Somas MTVL, двухфланцеваяON/OFF, и/или регулирующий клапанДисковые поворотные заг..
Запорная заслонка Somas MTVL, межфланцевая, c центрирующими отверстиями (Lugged)ON/OFF, и/или регули..